Whether you need to buy a gift for your friend, significant other, husband, brother or dad, buying gifts for the men in your life can sometimes be a challenge. We all know those guys who have one of everything, and those who insist on not wanting gifts, no matter the occasion. However, while shopping for gifts for men can be difficult, it is not impossible. 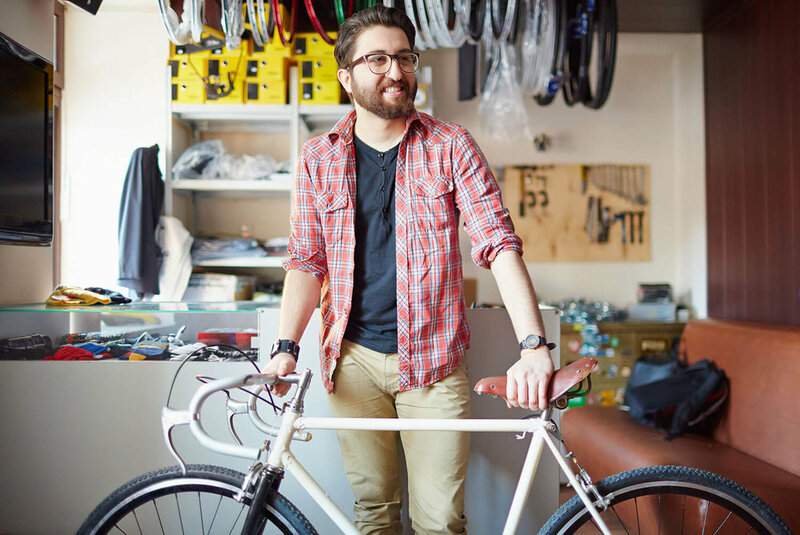 In fact, we have created a list of the top eco-friendly men’s gifts to consider when you need a great present for someone important. These gifts are not only some of the most practical presents out there, but they come from eco-friendly brands as well, meaning they can be items you will actually feel good about buying. We have separated these top gifts into different categories so you can browse the different options and find an eco-friendly solution that works for you. Sunglasses make a great gift for any man. A high-quality, reliable pair of sunglasses isn’t only a great fashion piece, but a practical (and much needed) accessory that many men both want and need. Plus, they make great gifts, for virtually any man in your life. Here are our suggestions for the best men’s sunglasses. If you haven’t heard about Warby Parker sunglasses yet, then it is time to learn more about these popular, fashionable, high-quality sunglasses. These Fletcher wide sunglasses are a classic style, and feature an English Oak rim along with a clean grey colored lens. This classic style sunglasses are a must-have for any man who likes flat brow and sleek sunglasses. They are not only stylish, put comes with scratch-resistant lenses that block 100% of UVA and UVB rays. The best part of this Warby Parker review is that these sunglasses are part of Warby Parker’s charitable efforts. In fact, 100% of the purchase of this frame will support the company’s Pupils Project, which helps school-aged children in need get a free pair of glasses. 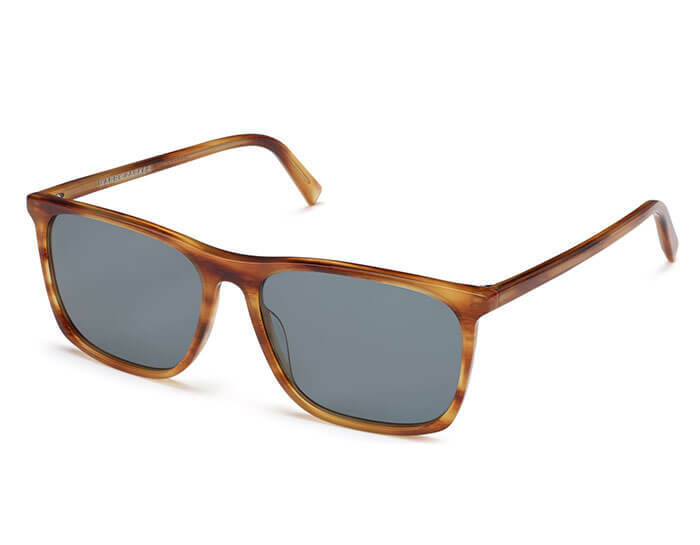 These Knockaround sunglasses are a great gift for any man in your life. These lightweight, affordable and stylish sunglasses are great everyday sunglasses. For our Knockaround review, this particular pair features a glossy black and tortoise shell fade frames with a bold gold “Knockaround” logo on them. The goal of this brand is to create high quality, affordable sunglasses that are perfect for everyday use and everyday life. These sunglasses come with amber lenses and have the option to upgrade to polarized lenses. They also include UV400 protection. We also love that these sunglasses have FDA-approved impact resistant lenses. The frames are also made from polycarbonate—one of the most environmentally conscious plastic materials. These sunglasses are the original affordable social sunglasses and have a strong following of loyal fans—and for good reason. They aren’t only stylish and comfortable glasses, but this company is dedicated to giving back. Every year, the company selects young artists from around the country to design a few of their sunglasses—and gives 100 percent of the proceeds to ArtReach, a company that provides educational resources to elementary schools. Vilebrequin is a wildly popular sunglass brand due to their stylish, high-quality products. If you are looking for a pair of sunglasses for a man in your life who spends a lot of time outdoors—this Vilebrequin review is for you. This pair of UV sunglasses, comes with Category 3 UV protection—the highest UV protection possible. This unisex pair of sunglasses features a matte black frame, along with stylish blue lenses and a detailed top bar that adds a hint of style to the pair. These sunglasses are hand-made in France and a great gift for any man who loves luxe sunglasses. Take a look at this European sunglass company’s large catalog of products, and you will find other items that are not only hand-made as well, but eco-friendly and sustainable. Sunski sunglasses are known for their laid-back ski-inspired style, and for providing affordable, high-quality sunglasses that are perfect for any of your outdoor adventures. These glasses are no exception. They are lightweight, comfortable, polarized and come at a great price point—you can even try them on online through the company’s virtual try on tool. For our Sunski review, we wanted to point out that these sunglasses are actually made right here in the United States, making them a product that you can feel good about purchasing. As for those stylish frames that Sunski is known for? They are actually made out of recycled plastic. That isn’t all either, this company is dedicated to making a better planet, which is why they donate 1 percent of all sales to environmental non-profits and is a member of 1% For The Planet. Coastal sunglasses are a fan-favorite brand because of their laid-back, yet fashionable beach-inspired designs. For our Coastal review, we added this pair of tortoise sunglasses from the brand is one of their most popular, thanks to its classic style and beautiful construction. You can even choose from the color of lense that you want to pair with these frames for a truly customizable style. We love the look of Coastal sunglasses, but even more, we love the company’s ethical practices and eco-friendly designs. 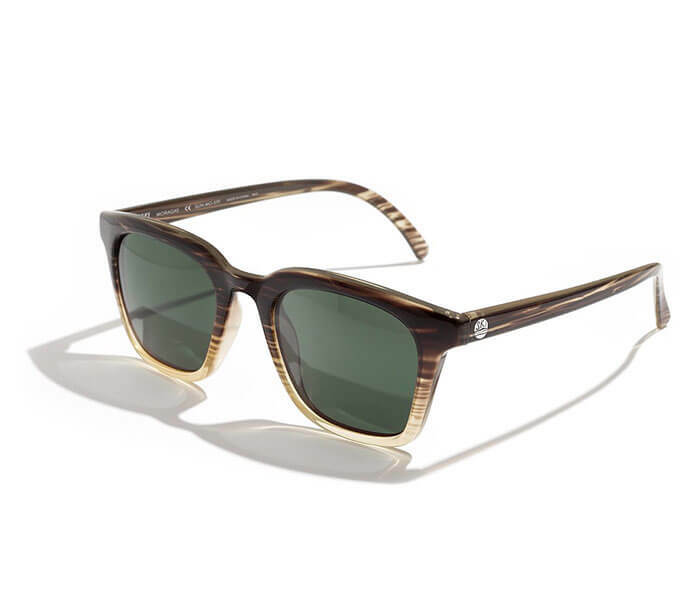 These glasses are made from acetate—a compound that is created from wood and cotton fibers, an eco-friendly option in the world of sunglasses. Coastal is also dedicated to giving back. For every pair of sunglasses you purchase from Coastal, the company will donate a pair of glasses to someone who needs them. Every guy needs a quality shirt or two in their closets, which is why a high-quality shirt can make a wonderful gifts for men. Whether you are looking for a dress shirt, comfortable hoody or performance sports shirts—there are great tops out there for every man. This button down shirt from United By Blue isn’t just a statement-making addition to your wardrobe. It is a beautiful, high-quality shirt that you can feel good about buying. This shirt is designed to be a more comfortable and durable and also more sustainable alternative to your average button down shirt, and the company behind it takes this responsibility seriously. 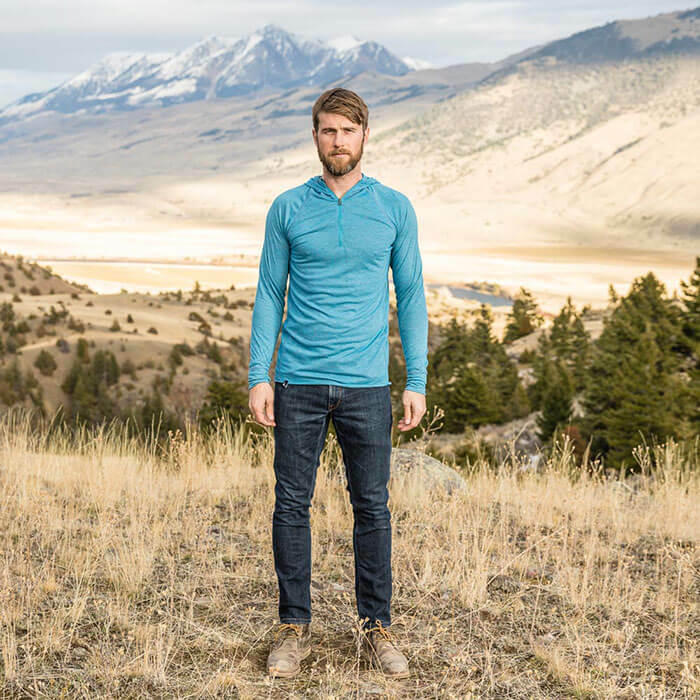 For our United By Blue review, this shirt is crafted from a unique blend of organic cotton, hemp and spandex, using natural, eco-friendly and sustainable materials in its construction. Everything in this shirt was created with the planet in mind. Even the Corozo buttons are completely biodegradable. That isn’t the only benefit either. Every United By Blue product that is purchased removes one pound of trash from the planet. Talk about buying clothes that you can feel good about. This Jackson Stretch Hoodie from Vuori makes a great gift for any man in your life. This Vuori review of the performance stretch hoodie is perfect for lounging, traveling and whatever adventures may come your way. It is made with cotton and four-way stretch fabric that makes this sweatshirt perfect for whatever adventures come your way. These products are also made with a sustainably sourced fiber that is made out of a blend of algae and wood pulp. This is not only a sustainable product, but one that is anti-odor and completely natural. However, this isn’t the only sustainable practice that Vuori takes. This company uses recycled plastic bottles in order to create their products, and to make certain they are reducing their impact on the environment. Another fabric the company uses is known as upcycled coconut fabric in the construction of their products. 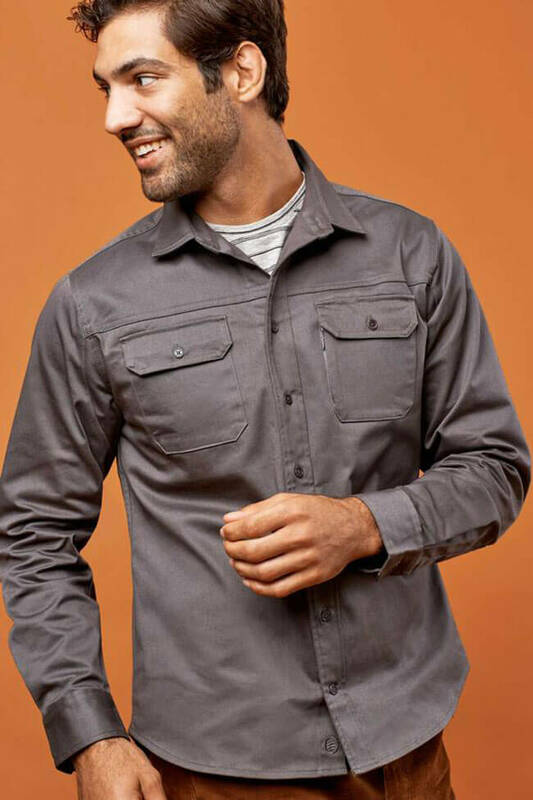 This STIO short sleeve button down shirt, is designed to handle anything you can throw at it. Made out of the brand’s Lynx fabric, it is lightweight, comfortable and made out of a wicking blend of cotton, linen and polyester. It dries faster than traditional cotton, so whether you are at a festival or exploring the outdoors, this shirt is going to be able to handle it. For our STIO review, we wanted to point out that this company is dedicated to sustainable manufacturing and sourcing. These garments are designed, created and tested right in the United States. The company is also dedicated to sourcing environmentally-friendly textiles. Many of these textiles are also Bluesign approved, containing natural fibers and high-levels of recycled content. They are also dedicated to only employing and working with manufacturing partners that adhere only to the highest levels of environmental and social standards. The brand Patagonia is known for their high-quality outdoor adventure gear. They also have great basics as well. 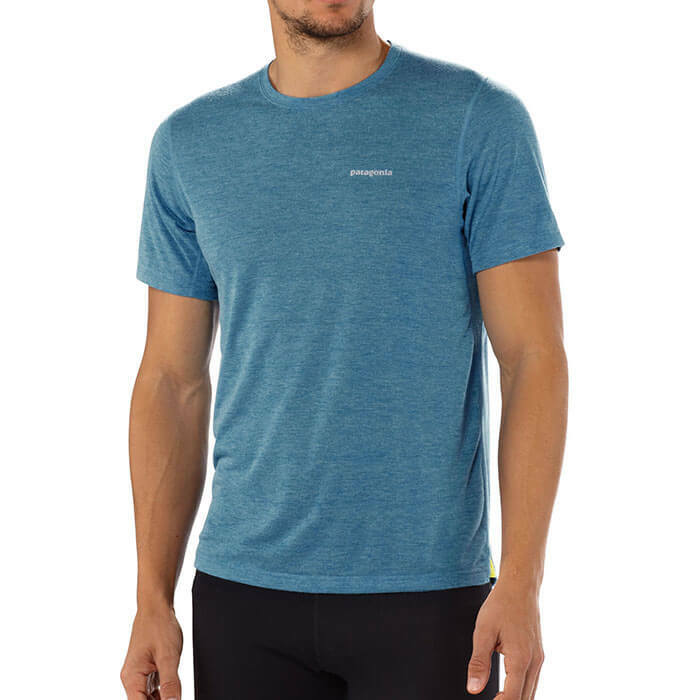 This includes products like their short-sleeved Nine Trails Shirt, a comfortable, high-quality moisture-wicking t-shirt that is perfect for everything from lounging around the house to working out or taking on your next big outdoor adventure. One of the things we love most about this Patagonia review is that it is made with Bluesign certified textiles. Patagonia has been working with Bluesign since 2000, which is dedicated to reducing resource consumption in their material supply chain. This ensure that all of the products used for these items are safe for the environment, for workers and for customers. These eco-friendly and sustainable practices make these items ones you can feel good about buying. This Men’s Vapor Snorkle Hoodie from Duckworth Co. is the perfect every-day sweatshirt. Made from a naturally anti-microbial wool, this is a great sweatshirt or hoodies for those who want a clothing item that they can workout in. This isn’t the only thing that we love about this Duckworth review. This sweatshirt is made out of the brand’s Rambouillent-Merino wool which is 100% grown in Montana. This natural and organic yarn is knit and sewn entirely in the USA. If you want to buy a sweatshirt that isn’t just high-quality and perfect for everyday wear but supports US jobs—this is the sweatshirt for you. You can never have too many pairs of shoes. If you are looking for a high-quality, eco-friendly pair of shoes for a special man in your life, here are a couple of our favorite shoes to choose from on our Men’s Gift Guide. These grey suede boots from Oliberte are made from natural premium leather upper suede and features 100% goat leather lining. It also features a natural rubber outsole. This is a great everyday boot that will make a wonderful gift for any guy you are shopping for as it blends together the perfect combination of style and comfort. However, one of our favorite things about this Oliberte review is that it is made in Ethiopia and Fair Trade Certified. This means, when you buy this leather boot, it is a product you are supporting those in need through fair trade practices. These Suede Panels Leather Sneakers from Mango are the perfect addition to any man’s wardrobe. 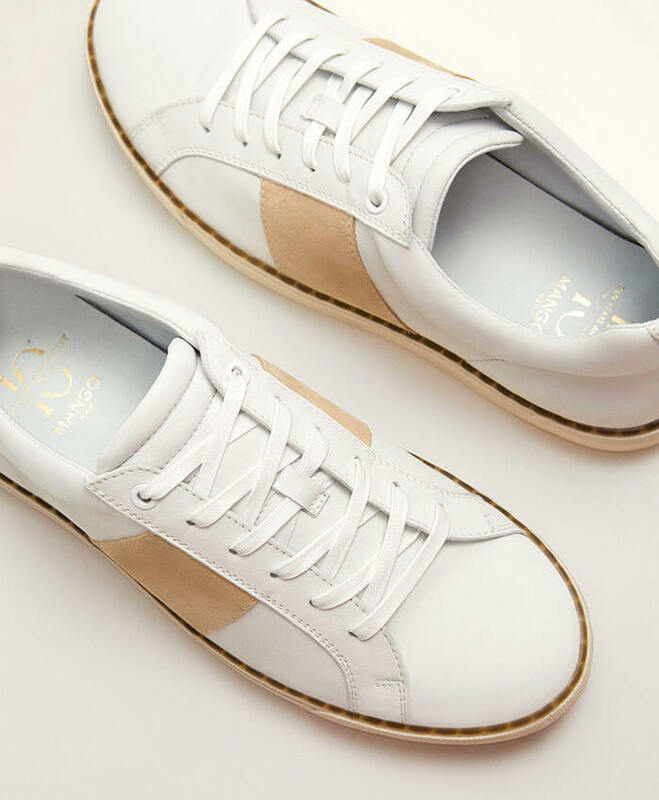 These shoes are comfortable and perfect for everyday wear, but unlike standard tennis shoes, they have a hint of flare and style to them, thanks to the suede old-school design. These are a limited-edition pair of sneakers and make a great gift for any man who prefers exclusive pieces that are unique. We love doing this Mango review, because this brand is all about making today’s fashion world more sustainable. In 2018, the company released their first “Committed” collection—a collection of sustainable fashion pieces that are not only some of the most fashion-forward pieces that the brand has. These items are all about eco-friendly and ethical production of fashion and showing that these beautiful pieces can be sustainable. Still looking for more men’s gift ideas? Sometimes some quality gear and accessories can make the perfect gift. Here are a few different types of gear and accessories to choose from when looking for the perfect gift. 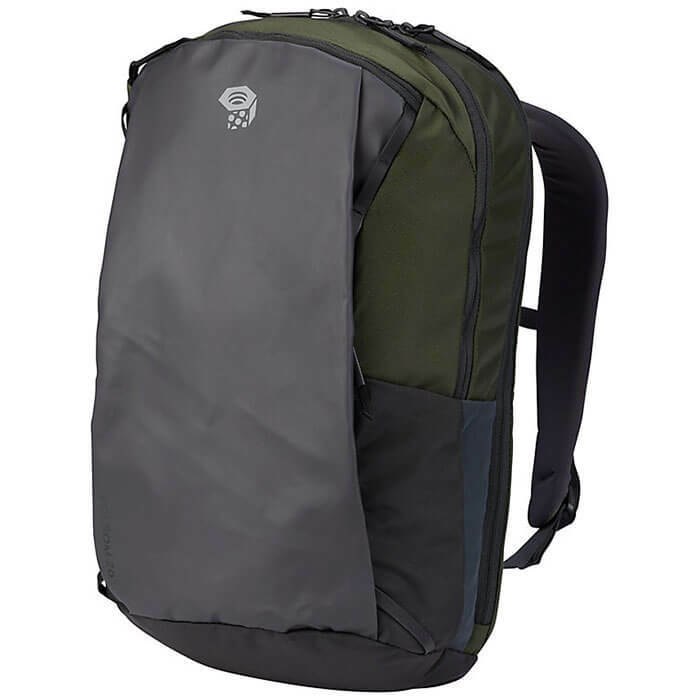 This Panga Backpack from YETI is the perfect accessory for any outdoorsman. For our YETI review, this backpack is 100% waterproof backpack is designed to outperform any backpack on the market. This is not only a great backpack for everyday use, but one that is perfect for activities such as fly fishing. Yeti has a long history of creating high-quality adventure-ready products. Yeti is known for creating products made from eco-friendly products that appear in products such as this. This includes non-toxic items, eco-friendly plant-based nylons and other sustainable items. YETI not only has their commitment to creating products that are ready for outdoor adventure but ones that are designed to help protect nature as well. This Parkland Backpack is the perfect travel accessory for any guy who needs a great everyday bag to take with him on-the-go. This Parkland review of the Meadow Plus backpack comes in a variety of different colors and designs, making it easy to find one that will fit with your loved-one’s unique taste and design. This backpack wasn’t just designed with style in mind, but with sustainability in mind. It is actually made of 100% recycled polyester exterior. Plus, it is water-resistant to add even more protection for your personal possessions. In fact, all of the Parkland products are made of 100% recycled water bottles. It also comes with a 15” fully-lined laptop sleeve, making it a great replacement for your standard work bag or briefcase. This Mountain Hard Wear equipment pack is a durable, water-resistant backpack that is perfect for the man who is all about adventure. This is not your everyday backpack either. While it is filled with lots of different features, accessories and compartments, there is even more than that to this bag, thanks to Mountain Hard Wear’s sustainability mission. This company is dedicated to being more socially and environmentally considerate. For our Mountain Hard Wear review, we wanted to highlight that the company is not only dedicated to making sure that their products are only made using ethical practices, but they are actually co-founders of the Sustainable Apparel Coalition, which helps improve sustainable practices in the fashion industry. This effort can be seen through the sustainable practices and eco-friendly materials that this company uses to create their products.